Ubud (Bali), 13 Avril 2011 – In commemoration of Earth Day, Green School organized an exhibition which was attended by 7 NGOs to exhibit their work. FNPF a été invité à être l'un des participants de l'exposition a été fourni uniquement avec quota limité dans le bâtiment principal de l'école. A cette occasion,, FNPF promoted about bird conservation through the introduction of nest box adoption and other fundraising activities. 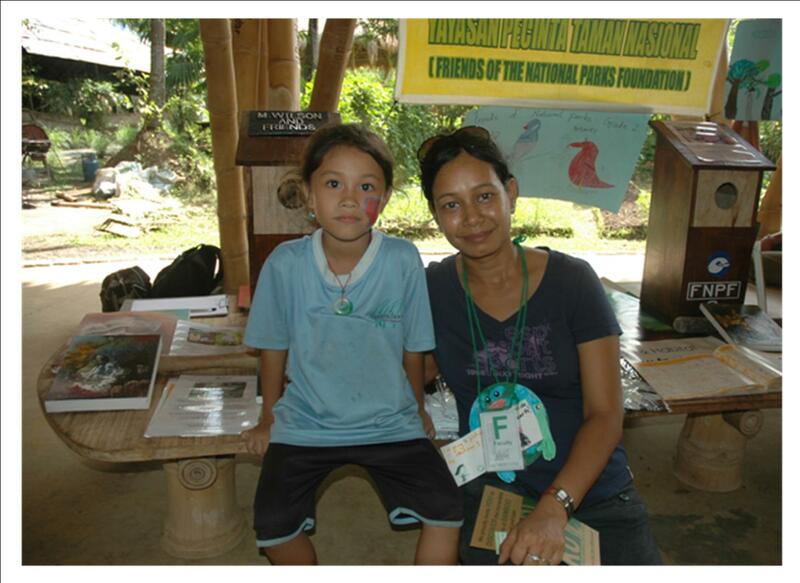 It was not just an invitation Green School also supported FNPF’s bird release program by sponsoring nest box. Penebel (Bali), Avril 2011 – The success of FNPF’s Nusa Penida Bird Sanctuary Project has inspired another traditional community group to do similar project in their area. 5 villages and 9 farmer organizations who were under Besikalung Temple territory on the slopes of Batu Karu mountain on Bali, covering an area of + 50Km2, invited FNPF to share the experience and run project at this area. They expected the project could be implemented in their community. FNPF followed up the requests from the people in Besi Kalung by organizing several activities such as community meeting (22 April 2011) and bird release (sur 26 April 2011). There were 9 White Vented Mynah (Achridoteres grandis) et 6 Peaceful dove (Geopelia striata) qui a publié en Besi Kalung. L'événement a été suivi par quelques chiffres importants, y compris le vice-régent de Tabanan et personnel, community leaders and villager. Through this program, FNPF commits to campaign and give understanding about conservation and the benefit in community empowerment.